My next mission on bike and train for #APF 2015 was Bury St Edmunds, in particular a writer’s group set up in St Nicholas Hospice there. At 42 miles (three and a half hours) it’s a bit far to bike, so I took the train, changing at Ipswich, then cycled the remaining two and a half miles. I nearly got lost, till I hit upon the rather grim trick of following ambulances. I made it in time for lunch, and met the group there. It was a wonderful session – and a rather wonderful place. They have a garden there with a small wood, lawns and scented flowers, and a memorial tree set up by the widow of a patient, a beautiful metal sculpture on which silver or copper leaves commemorating loved ones can be hung. Many of the group are bereaved, and some are patients. Having been through family deaths myself, either at home or in hospital, I was very impressed with the atmosphere of the hospice, which was calm, pretty, respectful and welcoming. Very necessary to patients and their families at such a time. Also nice for visitors – I was reminded of my summers in Donegal as various grandmotherly ladies fed me cake! 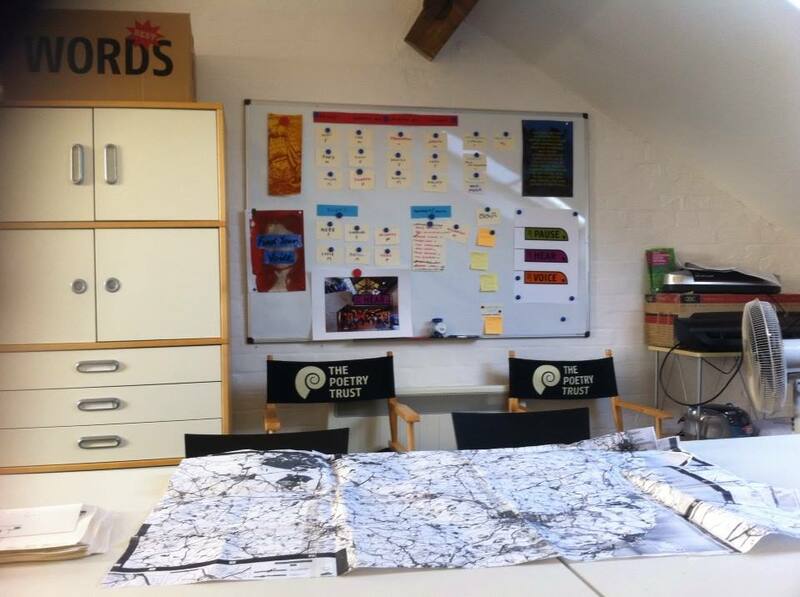 The group was very advanced – one lady, who has a brain tumour, was incredible sharp about poetic forms, and has written some fantastic haiku for their anthology. We did an exercise on the five senses, using the garden, as well as Ursula Le Guin’s ‘Being Gorgeous’ exercise and a session inspired by Valérie Rouzeau‘s ‘Thirty-Two Teeth‘ poem. I even managed to get a poem out of it myself, just in time for my own writer’s group. 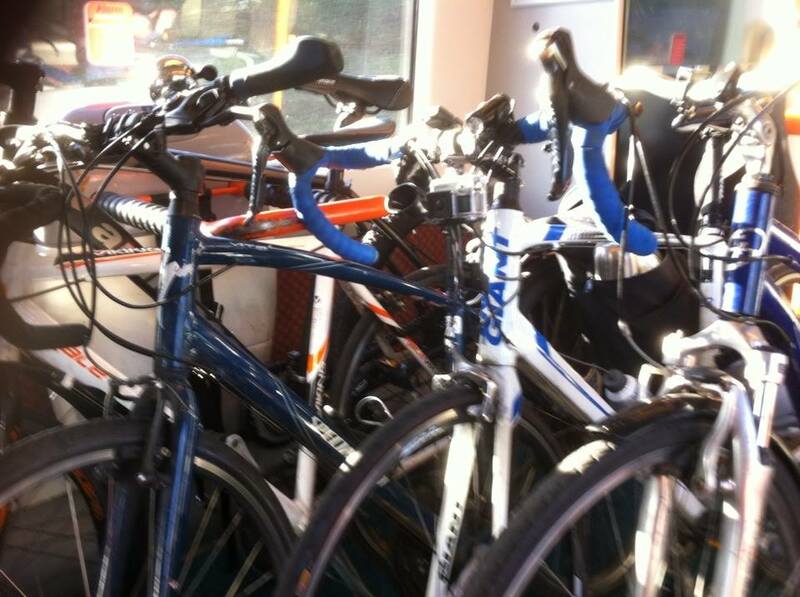 On the way back I was very proud to be on the cycle commuter special – 7 bikes on one carriage – two of them schoolkids! We organised ourselves politely in order of stop. Now for the next challenge – how to get 40 road signs out onto verges the length of Suffolk on a bike? I may have to beg a lift for this one – and some strong arms! Any volunteers?